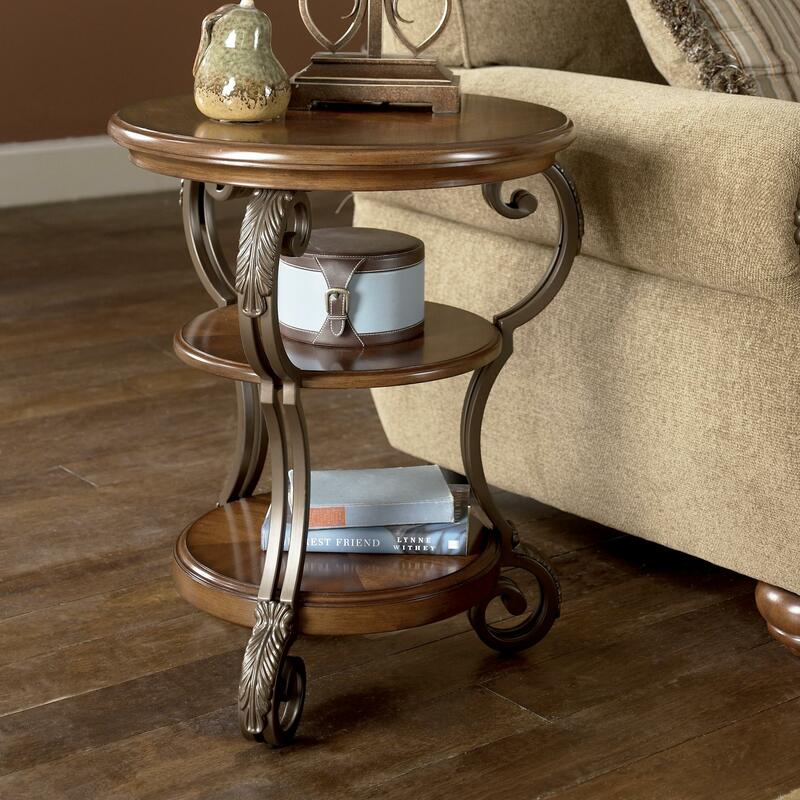 This round chairside end table is an elegantly traditional storage and display table for your living room. With wood shelves, and shaped metal leg supports, this round chairside end table is a smart and sophisticated choice for your living room and your home. The Nestor Round Chairside End Table by Signature Design by Ashley from Nashco Furniture - Nashville. We proudly serve the Nashville, Franklin, Brentwood, Clarksville, Green Hills, Davidson County, Williamson County, Tennessee area. Product availability may vary. Contact us for the most current availability on this product. Case Construction Metal leg supports with wood tops and shelves. Some pieces feature glass insets. With the scrolling bronze color finished metal adorned with wire work detail supporting warm burnished finish table tops, the "Nestor" accent table collection beautifully captures the elegance and grandeur of fine traditional design. The Nestor collection is a great option if you are looking for Traditional furniture in the Nashville, Franklin, Brentwood, Clarksville, Green Hills, Davidson County, Williamson County, Tennessee area. 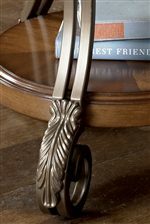 Browse other items in the Nestor collection from Nashco Furniture - Nashville in the Nashville, Franklin, Brentwood, Clarksville, Green Hills, Davidson County, Williamson County, Tennessee area.